Answers: How Do I Manage My Website? ePublishing Knowledge BaseePublishing Knowledge BaseePublishing Knowledge Base Common QuestionsWhat do I do if my website is loading slowly or isn't loading at all? What do I do if my website is loading slowly or isn't loading at all? 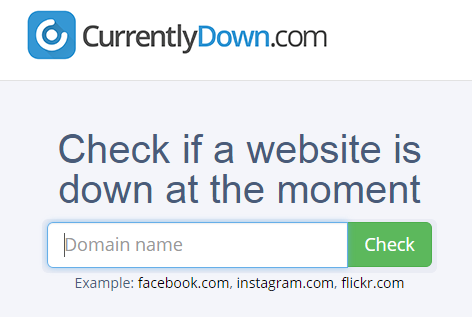 Confirm your website is actually down vs. local Internet or network problems that may be preventing you from accessing the website. We will work to get you back up as soon as possible and diagnose what caused the site to go down or become unresponsive. If your website is reporting as available, but is slow, please submit a HIGH help desk ticket at support.epublishing.com so that we can identify the cause. If the cause is something ePublishing can control, we will work to prevent that problem from reoccuring. If it is caused by third-party integrations or other processes outside of ePublishing's control, we will work with you and the third party to identify what needs to be done to address the root cause. We want your website to load quickly and cleanly on all devices. We are here to help you make that happen. Prev: How do I get rid of the "overweight cart" message? Next: Why is a deleted article / event / product still showing up in my site's search results? What are the standard ePublishing templates for a website? How can I see them on my website? How do I create a blog? How do I create a blog post? How do I format content? How do I insert an image into an article or blog post? How do I add an image caption or photo credit within the body of an article or blog post? How do I delay the publication of an article or blog post? How do I change the URL of an article or blog post? How do I add a photo gallery to an article? How do I paginate an article? How do I search for and edit existing articles? How do I unpublish an article or blog post? How do I preview an article or blog post before publishing? How do I duplicate an article? How do I assign site placement for articles? How do I associate PDFs, photos, video and other media with articles or blog posts? How do I manage comments? How do I find and edit an existing author? How do I create a new author? How do I edit an existing editorial content block? How do I delete an author? How do I unpublish an existing editorial content block? How do I place an article or blog post in a featured position? How do I create or edit a publication? How do I create a new edition or issue of a publication? How do I set the order of articles and other content associated with a specific taxonomy association using the Site Placement Manager? How do I set the size of an infographic on my website for optimal readability? How do I add special characters in the WYSIWYG editor? How do I copy an article from one of my websites to another? How do I print the article from my website in either preview mode or after it is published? How do I create whitepapers or other downloads requiring reader information or registration? How do I spellcheck my articles when entering them in the Article Manager? How can an article be the full width of the site? How do I share an article with a partner or advertiser before it is live on the site? How do I order blogs on the Blog Landing page (/blogs)? How do I add a video to body of my article? How do I apply a special style class to content on the site? How do I control my comments? Can I moderate them? How do I lock an article to requiring a reader login, register, or have a current subscription? How do I manage Canonical Tags? What Content Is on the Version 2 (v2) Topics Landing Page Template? How do I access the Media Manager? How do I find remote files I added from YouTube, corporate digital asset management servers and other locations? How do I add videos from YouTube or files from corporate servers to be easily used on my website? How do I change the thumbnails for photos, videos and files in the Media Manager? How do I upload new media, such as photos, videos and files? How do I create an image gallery / photo gallery? How do I upload multiple images at the same time to the Media Manager? How do I upload a new video? How do I quickly select an image in the media manager without opening the file? Is there a file size limit for files uploaded to the Media Manager? What are some lessons on adding podcasts to my website? How can I change the default thumbnail size for image galleries? How do I add a podcast episode to my site? How do I add or create a new podcast on my website? How do I select related articles, blog posts, listings, events, products and more to appear next to my content? How do I add topics/categories to my website's taxonomy? How do I create topic links on article pages? How do I create a dynamic topic-based landing page? How do I present recent articles by an author? How do I use the SEO tool in the Article Manager and Blog Post Manager? Search Engine Optimization. Help me understand it. How do I create an eNewsletter issue? How do I test an eNewsletter issue? How do I send an eNewsletter issue? How do I send a welcome email to new registrants? How can I send a newsletter by copying and pasting to my Email Service Provider? How do I make my newsletters have different header images? How do I create a new product? How do I create a product out of an article? How do I use metering, which allows readers to access a set number of articles for free before paying? How do I create discount codes or offers? How do I create bulk or quantity discounts for products? How do I sell a PDF or other file as a product? How do I update shipping rates? How do I add sales tax? How do I create product bundles? How do I create product variations? How do I create a Classifieds or job listing? How do I access store orders? How do I manage store orders? How do I change the “Thank You” messages that appear on my website's order confirmation page? How do I use the price classifications when creating a product? How do I create an event product? I want to have flat rates for international shipping, regardless of country. How do I do that? How do I customize the confirmation email message and online order receipt sent after my customer orders for a specific product? Can I be notified if an order transaction fails? How? What do I do with an order transaction failure notification? How do I find order transactions that failed? I've reviewed a failed order. How do I grant the customer access to what they bought? How do you handle fraudulent orders? Why doesn't my product connect to the Shopping Cart? Does shipping weight for a bundled product get automatically calculated? How does the ePublishing system determine whether to send the user their order confirmation in Spanish? How do I make sure customers create an account or are logged-in when buying products? Why is my product requiring a user login when it gets added to the cart? How do I give a user who has purchased a product made up of multiple downloadable files access to those files? How do I create a subscription product? How do I create a subscription product using the new subscription form (with license options)? How do I create an individual subscription product using the new subscription form? How do I create a recurring billing / automatically renewing subscription product? How do I create a standard free trial? How do a I create a trial that converts to an active subscription? How do I create a simple Event? How do I create an event microsite? How do I add new sections/navigation to my event's landing page? How do I create custom event details that will appear on my event microsite? How do I create a registration form for an event? How do I add sponsors to an event? How do I manually add a new event attendee? How do I update multiple event attendee records at the same time? How do I export an event attendee list as a CSV/Excel-friendly file? How do I market to event registrants? How do I change the order of custom event details? How do I review the list of attendees who have registered for an event? How do I control which attendee information is required for event registration? What are the taxonomies associated with events and what do they control? What are the available layouts for event pages? How do I create group sales discounts for events? How do I create and use event templates? How do I add a link on my event page to a third-party registration website? How do I preview my event landing page? How do I search for an event? How do I delete an event? How do I remove sidebars or unrelated content on an event page? How do I search for a poll? How do I duplicate a poll? How do I add or edit questions and answers in a poll? How do I change the order of questions in a poll? How do I view poll results? How do I delete a poll? How do I delete poll questions? How do I remove a poll from the website? How do I create an RSS feed with multiple topics/taxonomies? How do I create an RSS feed for a single topic? How do I create an RSS feed with full bodies for the articles included? How do I create a new directory listing? How do I approve or edit a customer-submitted directory listing? How do I create a new directory category? How do I display different tabs on my directory listings for different types of content? How do I create custom directory listing details that will appear on my directory listing? How do I allow existing paid directory listings to upgrade or renew? My website emails form data with attachments to me. Is there a recommended file-size limit we should notify readers about? How do I enable comments on directory listings? How do I control who receives notifications in my company when new directory listings are purchased? How do I control who receives notifications in my company when directory listings are updated? How do I control who receives notifications when directory listings expire? How do I delete or hide a directory on my website? How do I edit an existing directory listing (back-end)? What are the field validators for Directory API imports? How do I use the Request for Quote (RFQ) Form? How do I limit/restrict the number of categories readers can select when purchasing or editing Directory Listings? How do I create a landing page? How do I create a unique URL for my landing page? How do I add a navigation link for my landing page? How do I change or update the navigation on my website? How do I create a redirect? How do I create a landing page that includes content from multiple topics based on taxonomy? Beyond the reports in the Report Center, how do I create analytical reports? Why does content in my Author Report csv from the Report Center wrap to a second line for a single item? When downloading a User Manager report as an Excel file, why do I see an error when trying to open an Excel file? How do I view usage data on articles, products, directory listings and other content? How do I turn the right rail on or off on a user's profile? How Are Product IDs Setup in the order receipt? What can my users find on the updated Profile > Purchased Content tab? Is it possible to have my logo display on the Invoice page? Why can't a reader see his payment information in his order history on our website? How do I turn Buy It Again on or off? How can a reader print an invoice for a past order? How do readers access the new Purchased Content page? What are the differences between the old Order History tab and the new Past Orders tab on readers' account profiles? How do I turn product thumbnail images on or off on a reader's Past Orders page? How do I restrict individual video or audio files from being downloaded on the Purchased Content Page? How do I turn on or off the user registration email? How do I add a subscription to a reader's profile? How do I change a reader's password? How do I add a new editor? How do I create a new Admin user? How do I add or modify a role? How do I remove a user from having access to the admin tools? How do I add User Privileges to access user data via an API? How Do I Access the User API Documentation? How Do I Access the User API? How do I add Subscription Privileges to access user data via an API? How Do I Access the Subscription API Documentation? How Do I Access the Subscription API? Why am I seeing an old or incorrect version of my website on STAGE? How do I use my website's staging environment to test changes before pushing a change live? My Stage Admin tools or website are down. Should I submit an emergency support desk ticket? How do I find out whether my ads are loading properly from Google DoubleClick for Publishers (DFP)? How do I create interstitial ads on Google Doubleclick for Publishers? What are common online ad sizes, per the IAB Display Advertising Guidelines? How do I setup ads in Google DoubleClick (DFP) for Publishers? How can I control my 404 or Page Not Found page? How do I control which default image is shared with social media? How do I confirm my site on Google Webmaster, Bing Webmaster, Pinterest and other sites? How do I clear the cache on my site? I need to get a fix up quickly! What do I need to provide ePublishing to purchase or renew an SSL certificate for my site? How do I add User Privileges to access articles via an API in the NewsML-G2 format? How do I export XML-Feed content for articles and blog posts? What are all of the possible routes and filters available for the content export XML feed? How can I use the article export? For the NewsML Feed, what if I want to allow more than 50 articles in a single feed? I created a new edition of my publication. Why can't I see it on the site? How do I get my site listed on Google News? Which email clients support responsive newsletters sent by the website? Which email clients are supported by my newsletters sent by the site? How do I find out which browsers are supported by my website? How are Most Popular / Most Viewed articles determined? It seems to be different from Google Analytics. How do I limit spam in comments? How do I get rid of the "overweight cart" message? Why is a deleted article / event / product still showing up in my site's search results? Why can't I add a file to the Media Manager? I've been able to in the past. How does the content recommendation engine work, and how do I adjust the factors that drive it? My site isn't updating as quickly as I think it should when I add new content. Why? My site is on stage and I need to access locked (requires log-in) articles, how can I do this? What are valid test credit card numbers I can use to test my shopping cart? I have Google News, but my articles aren't being indexed. Why? What are best practices associated with Retina Display / high-definition (HD) images and your website? Can I change the order of the items in the right rail based on the page I'm on? Help! I can't get into the Admin tools with my login! How can I control the Common Links shown on my dashboard in my Admin tool? How do I grant access to ePublishing to access my Google Analytics? Why and how should I reduce the size of my images before uploading them to my website? How do I clear Twitter and Facebook Cache? How do I use the New User Activation feature? I need to add a iFrame code to my article or page manager page. When I do, it breaks the article. How do I fix this? Why do my images look squished in the body of my article, blog posts, landing page or other content? What do I need to consider with responsive ads and downsizing ads for tablet and mobile? How do I show content in tables on my responsive site? I need to add a YouTube / Vimeo / iFrame code to my article. When I do, it breaks the article. How do I fix this? How do I turn on Paypal Payflow Pro for my website? How do I use comment on an InVision-shared design? How do I send webmaster emails to multiple recipients? How do I update CSS styles on my website? How do I create a newsletter sign-up form (manually)? How do I use the form mailer? How do I remove taxonomies that won't stay deleted? How do the automatic related widgets on my site work? How does my website determine search results? How does the site search functionality work? What are the terms that SOLR strips out of searches and minimum matching for Related widgets? Can I prevent my website from being included on Google, Bing and other search engines? What are my options? I need users to return to a specific page once they've successfully logged in.How do I create a login return URL? Can our whole site be delivered through SSL (HTTPS) like Google suggests? How do I restore a taxonomy that has disappeared? How do the related widgets on my site work? How do I enable MP4 streaming on my website?